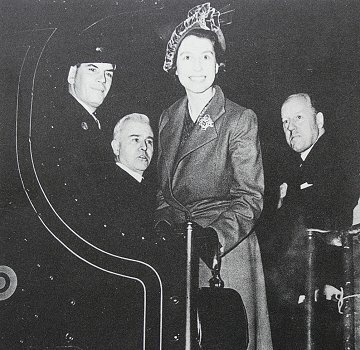 Although the Queen has no doubt passed through Swindon many times while using the Royal train for engagements in the South West, it is only on four occasions that she has officially visited the town - with November being definitely 'one's' favourite month for a Royal visit to Swindon. 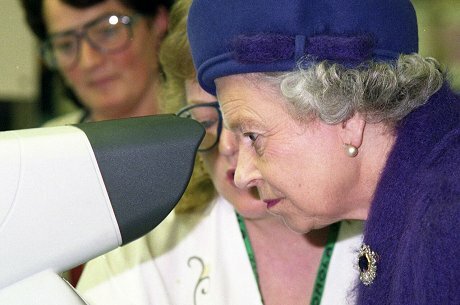 And may we say, ma'am.... after 18 years without a stop-off, surely we deserve to get the bunting out just one more time? 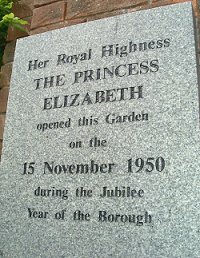 The first occasion occured three years before Her Majesty was actually coronated, when she visited the town on the 15th November, 1950 as part of the Borough of Swindon's (Est. 1900) own Jubilee celebrations. 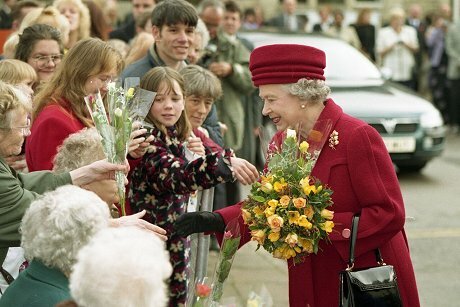 Her Royal Highness travelled to Swindon from Paddington in London on the aptly named 'Star'-class locomotive No. 4057, The Princess Elizabeth. Her first port of call being the then thriving GWR Railway Works to take a tour of the engineering factory and to officially name locomotive No. 7037 'Swindon', the last 'Castle'-class train to be built at the Works. Her Royal Highness then moved on to be greeted by thousands of flag waving children when she opened Moredon playing fields as part of her second engagement of the day. Queen's Park was the next stop of the Royal cavalcade, where the Princess unveiled a plaque to commemorate her official opening of the Garden of Rememberance. Her first trip concluded with lunch at the Town Hall with the Mayor and other Swindon dignatories, together with a number of specially invited guests. 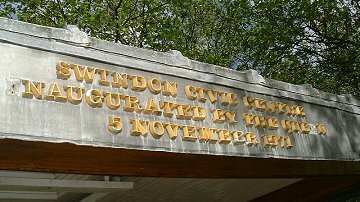 But it was to be another 21 years before Swindon was honoured by the first official visit of Queen Elizabeth II when she inaugurated the town's new Civic Centre, which included the Wyvern Theatre, on the 5th November, 1971. 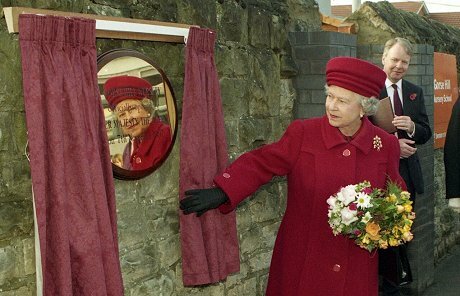 Unfortunately, it was a day marred by bad weather; the Queen thankful for the cover offered by the special platform erected to commemorate the occasion while she made a brief speech before regally announcing the Centre open. 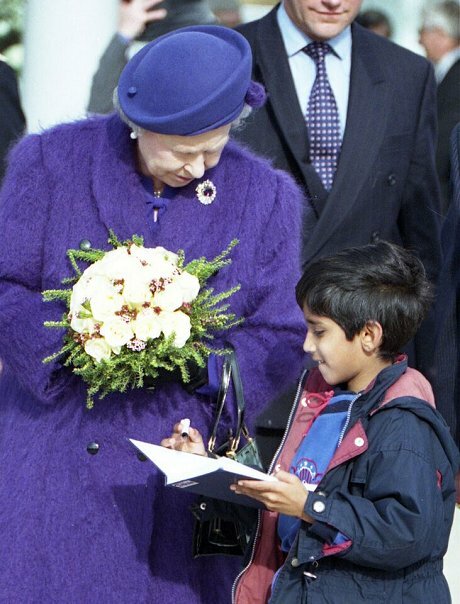 The next visit is very well remembered by the pupils and staff of Gorse Hill Infant School where the Queen took time on a whistle stop tour to open their new nursey on the 7th November, 1997. "It was a fantastic day for everyone at the school," remarked the Headmistress at the time, Mrs Prisca DaCunha. 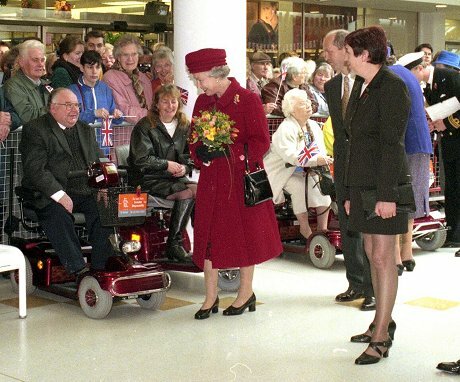 "Her Majesty was so kind and warm and it was an honour that the Borough choose us for the visit." A large picture of Her Majesty which our Monarch kindly signed while at the school, still hangs proudly in the main assembly hall to remind the pupils and staff of the memorable day. 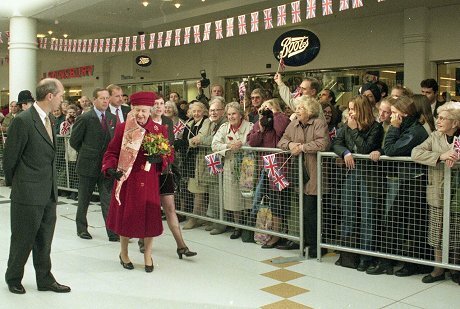 Beforehand, Her Majesty took in a tour of the Brunel Shopping Centre where waiting wellwishers handed her flowers and briefly chatted. The Queen ended visit ended with a Civic lunch at Lydiard House. 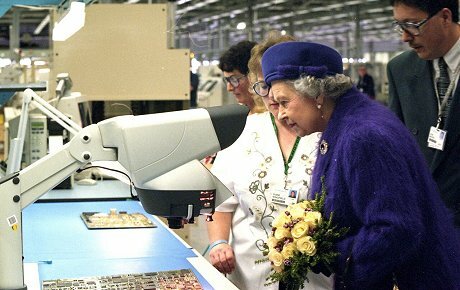 The Queen's last visit to Swindon occurred on the 26th October, 1998 when she visited the town to open the new £82 million pound Motorola factory at Groundwell. 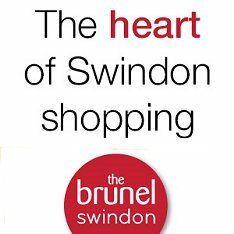 A Royal event that truly encompasses how Swindon has developed from being a railway dominated town at the time of her first in 1950 to being the base for new-world technology firms such as Motorola, Intel and Lucent that it is today. 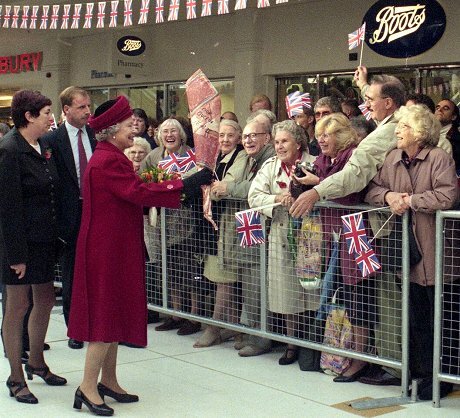 Unfortunately, Swindon was not included as a stop-off in the Queen's Jubilee tour of the UK in 2003, but no matter what the event, the people of Swindon can no doubt look forward to welcoming her again in the not too distant future. Most probably with a November date, of course. SwindonWeb would like to thank Gorse Hill Infant School and Calyx Multimedia for their help in providing pictures for this feature.